Not sure if you had reaslised but recently, my polish haul has all been Chanel! Today, I have some swatches of my first ever Chanel nail polish I scored! :D It is none other than #461, Blue Satin. I bought this polish from a Carousell user for $18SGD, although she said it was brand new, however, the bottle isn't full and had signs that they have been used before. The bottle ain't in the most ideal shape though. It has numerous scratches around them and also the wordings on the bottle seems to have been colored. Despite all those, getting a 95% full bottle for $18 does seem quite worth it as the polish color is gorgeous! Blue Satin came out January 2008, however 2011 it was released due to popular demand! 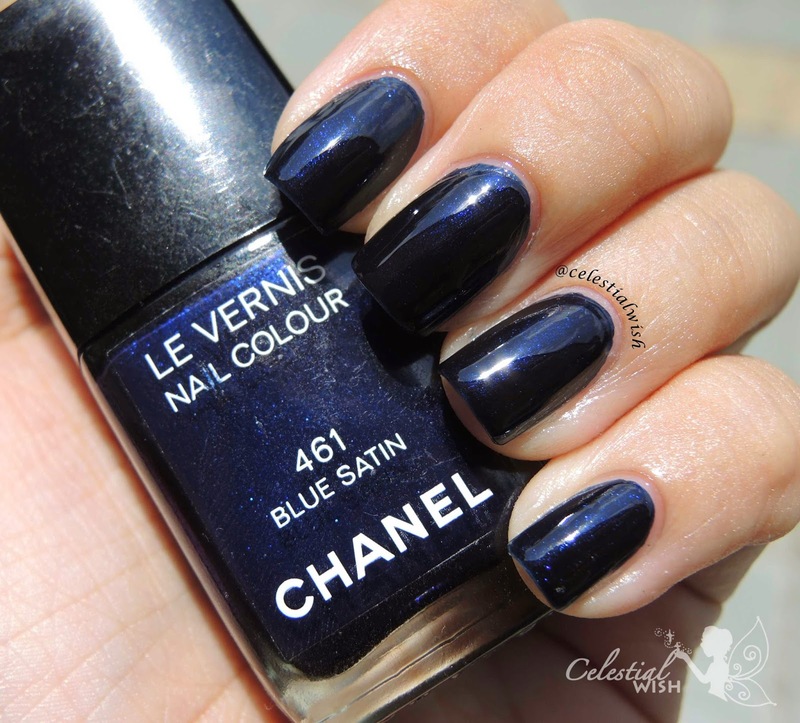 Many of Chanel's color would be release as a limited edition, however some popular do make their way back again! This is just one lovely example! 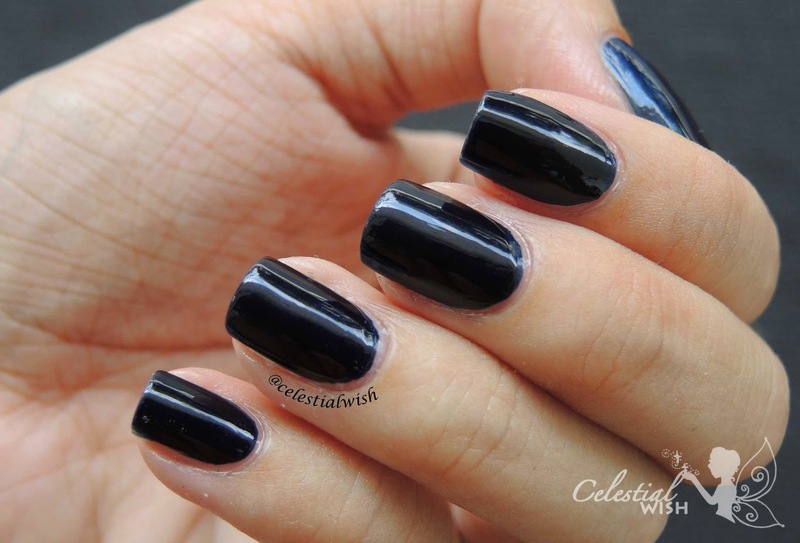 However, when the polish indoors is like an ordinary navy blue polish. 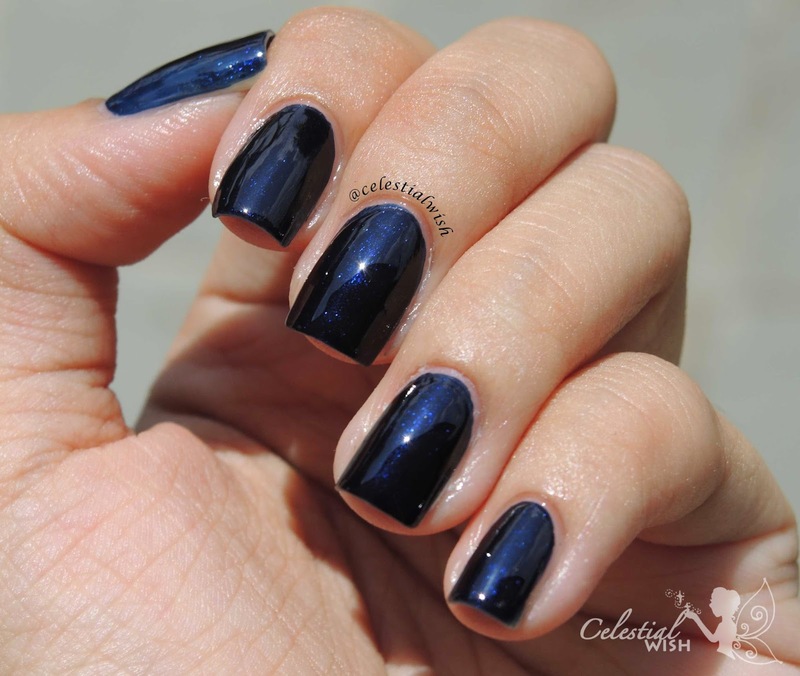 Blue Satin is a dark blue polish with hints of shimmer when seen under the sun. It is extremely opaque as I only needed 1 coat to achieve such a look! However, this opacity is only for such a creamy color!The bottle had a thin brush as seen in every other Chanel bottle. Isn't Blue Satin such a beauty? It is dark like how a person can be quiet, yet when under the right condition, you can see it's sparkle in the right angle. I guess this just really appeals to me, as I believe that no person can be dull or uninteresting. It just takes the right occasion or right person to see that shine and potential in another. So, if you have been quiet and wanting to shine, don't bother about what other has to say, just shine! You may be shy, but your shine will dazzle those who sees you! Disclaimer: All opinions are my own and may differ from yours. Although I do my best to take photos that accurately display the color of the polish, please note that computer screen settings may vary, causing the polish to look different.